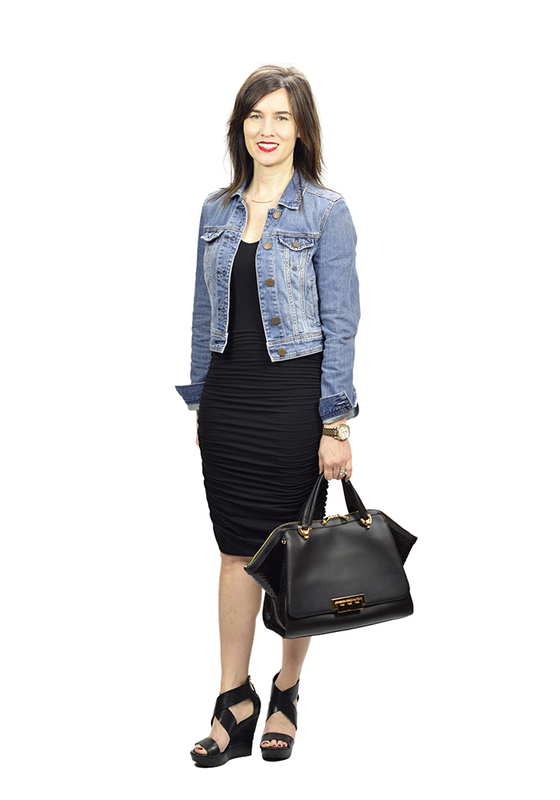 You can never go wrong with a LBD and a denim jacket. It's just the perfect casual outfit! Thanks! My denim jacket is a go to in the spring/summer. 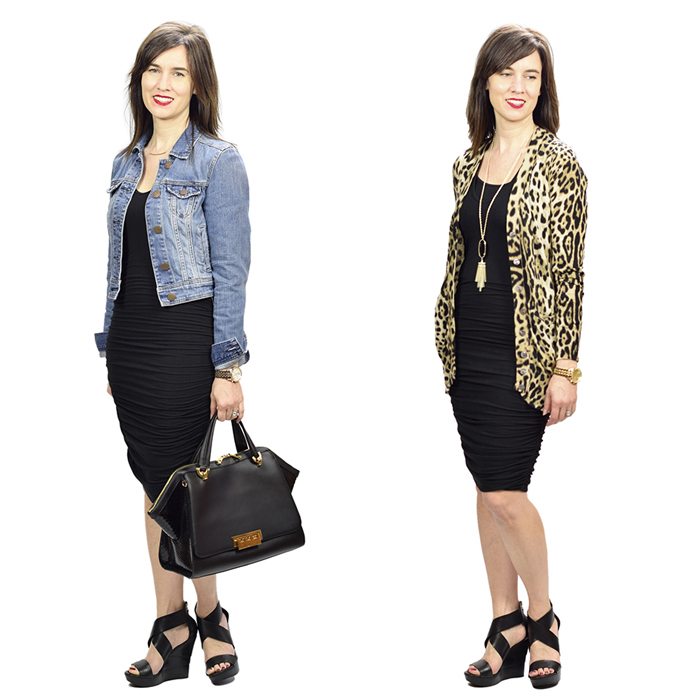 Both of these are great options for styling a lbd. I've never styled any of mine more casually with a denim jacket and sandals, so need to give this a try in the future. I also like your leopard cardigan look. Thanks! I love dressing down my dresses - for a casual evening. Such a great and versatile LBD. The perfect transitional look. Awesome styling, lady! Love a good LBD! Love the look with the jean jacket! 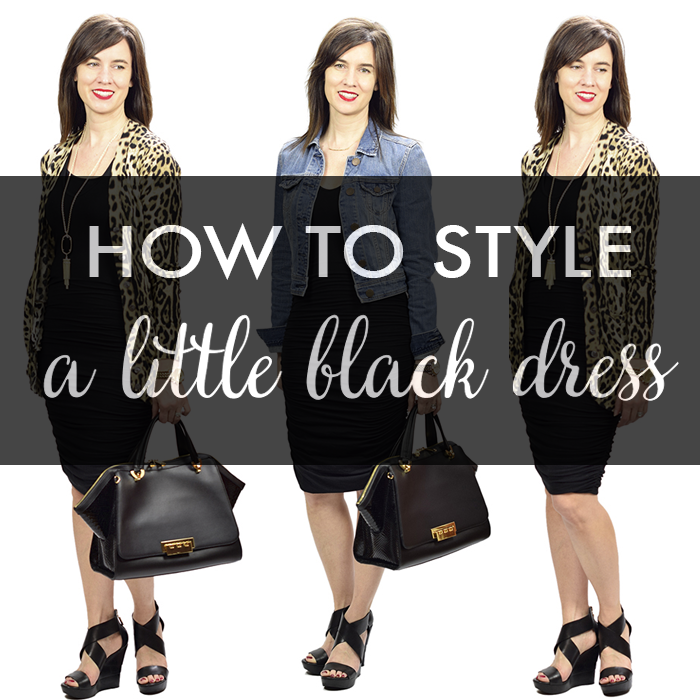 LBD's are just so timeless and easy to wear! what a gorgeous dress, that's stunning on you!!! 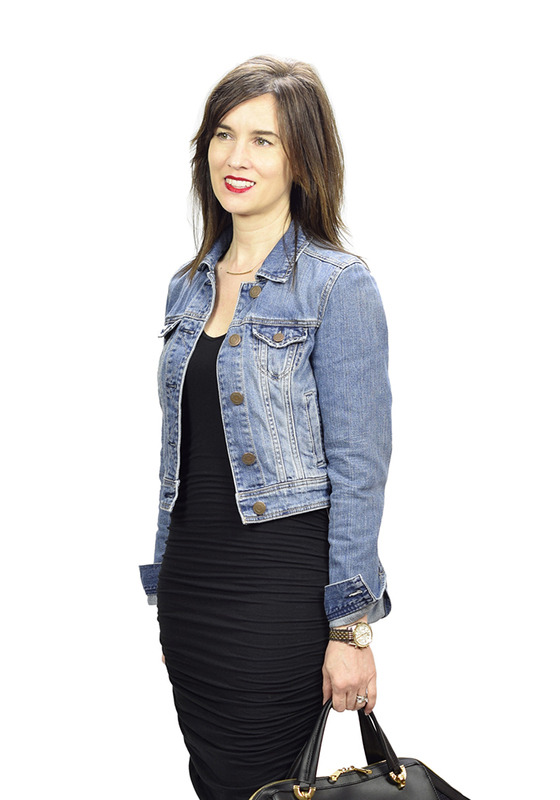 Nothing more chic than dressing down an LBD with a casual jacket. Love it!!! LDB are so amazing just for this reason. SO versatile! Perfect styling! love your dress! Express has the BEST dresses, some of my favorite dresses in my closet are from there! I also love those heels! That is the perfect LBV! Love it styled with the denim jacket! I love your simple yet she styling! Such a wearable and on point look. And I love those shoes! That dress fits like a glove. Hubba hubba! Love your great bag, too. Looks great with the denim jacket... I love the leopard cardi look, too! You have found the perfect LBD for summer time! Great styling. And that bag, I WANT! !